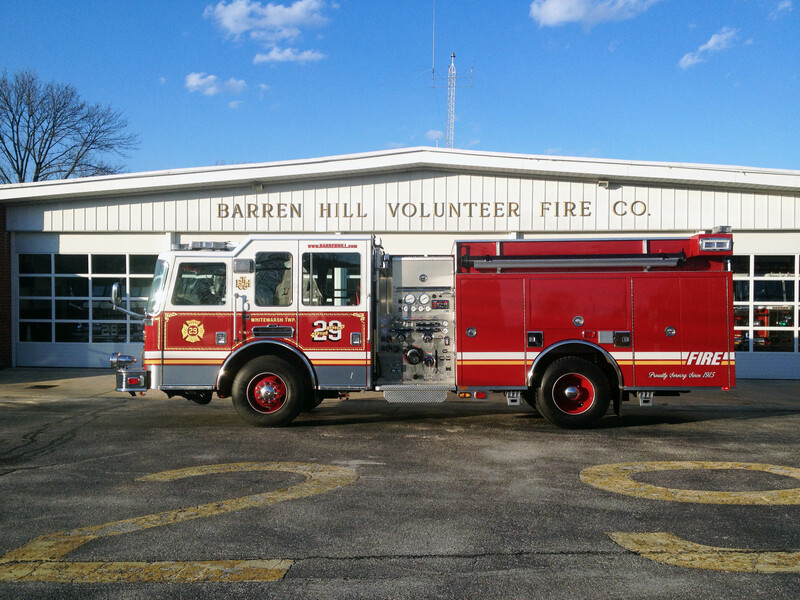 For 100 years, the Barren Hill Volunteer Fire Company has proudly served Whitemarsh Township, a suburban municipality in Montgomery County, Pennsylvania, that is home to roughly 17,000 people. 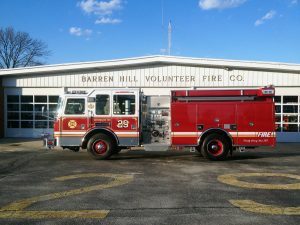 Staffed almost entirely by volunteer members, Barren Hill serves the people of Whitemarsh by providing fire prevention education, participating in community events, and responding to approximately 500 annual calls for emergency service. The Barren Hill Volunteer Fire Company houses state of the art apparatus. Currently a 1999 E-One pumper serves as Engine 29. Additionally, a 1997 Sutphen Tower Ladder carrying a 95′ aerial main, and a 2000 Saulsbury/E-One Heavy Rescue, equip Barren Hill to respond to a range of emergencies, including calls for fire suppression, vehicle rescue and water rescue. We are proud to announce the recent addition of a 2014 KME pumper to our fleet of apparatus. Barren Hill provides service to Whitemarsh Township thanks to the hard work and dedication of our members. Approximately 50 active firefighters and officers comprise the fire brigade. 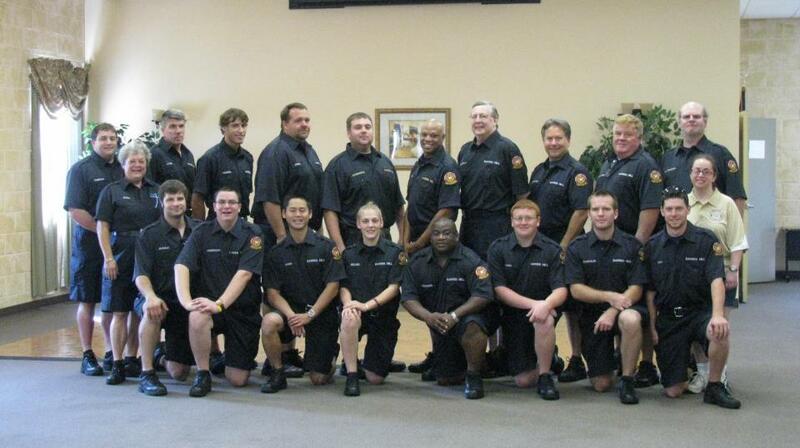 Additionally, Barren Hill receives invaluable support from its Fire Police, Administrative Members, and Life Members. We are always looking for new members, and accept applications for membership on a monthly basis. The Barren Hill Volunteer Fire Company was formed in 1915, and we our proud of our 100 year history, and tradition of professional service. We look forward to celebrating our centennial next year, and to continuing our service to the people of Whitemarsh Township.